If you’ve read my previous posts about my amugurumi bear and lamb, you’ll know that I was using a contrasting piece of thread as a stitch marker. I didn’t want to buy the first I bumped into and couldn’t seem to find any to fall in love with. It wasn’t until the Knitting and Stitching Show that I saw ones I really loved… but they were knitting ones! They looked very much like the ones I made for this DIY tutorial, but instead of clasps they just had rings. 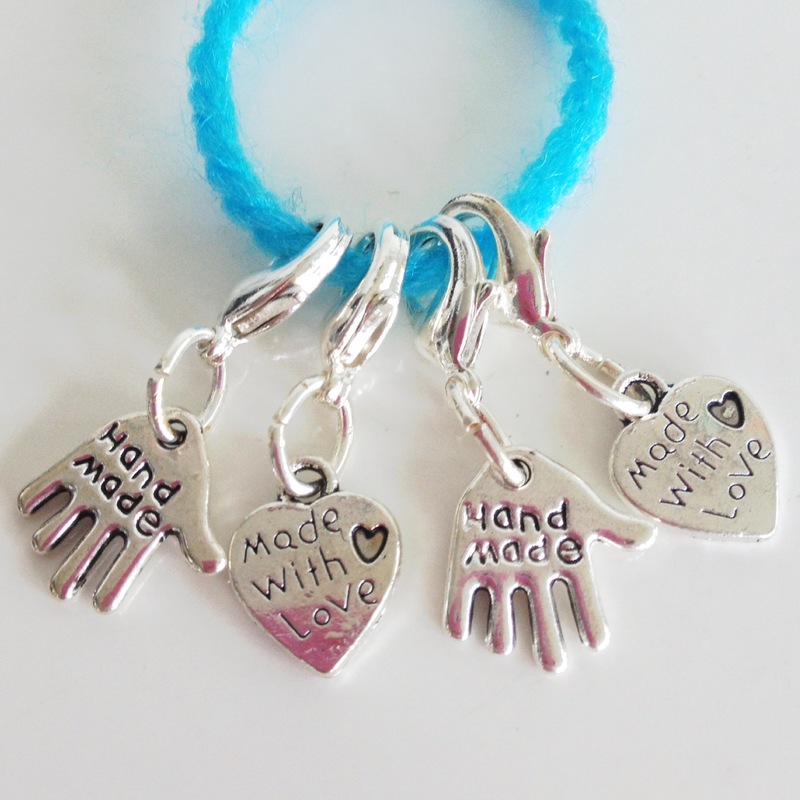 I was so thrilled when I found these charms at another stand… that I decided to make my own crochet stitch markers 🙂 It’s super quick and easy… and they make a lovely gift for a crocheter! …And its ready to use!!!! 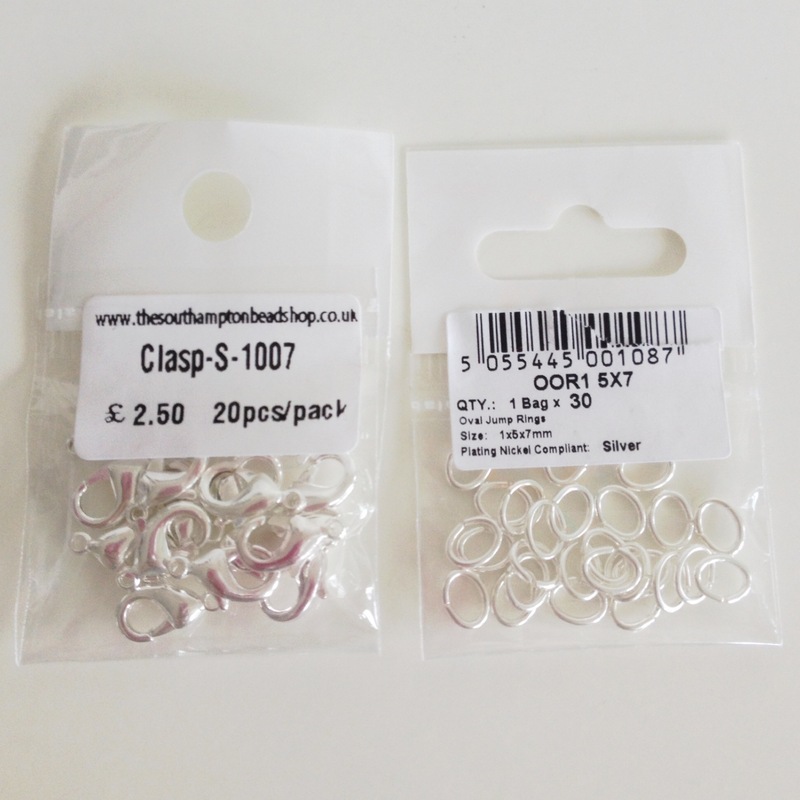 Which are your favourite crochet stitch markers? Have you made your own? Ooh! I love the idea of lobster clasps. 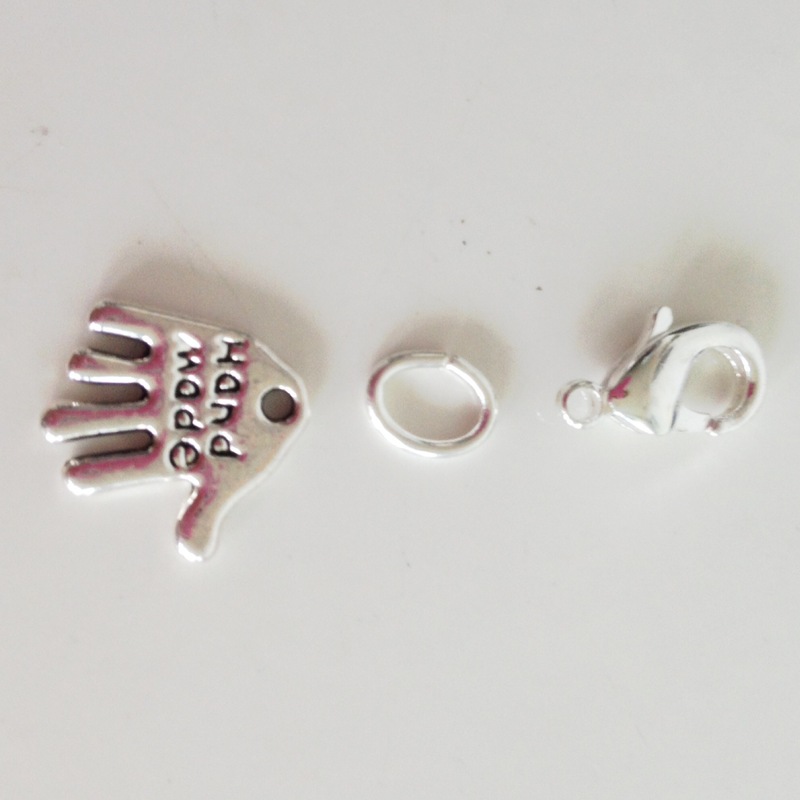 I like stitch markers, but rarely use them because they’re so much work to put in the stitch and remove later on. This seems so much easier to do with one hand while I’m holding my hook and yarn and everything. What a great idea! Like you used to, I use a contrasting bit of wool to mark my stitches. Might have to look into this now, though! That’s a good idea. Our local craft show is coming up next month – when you can find anything and everything in one place, from quilting to beading. I’ll have to look out for the fixings. 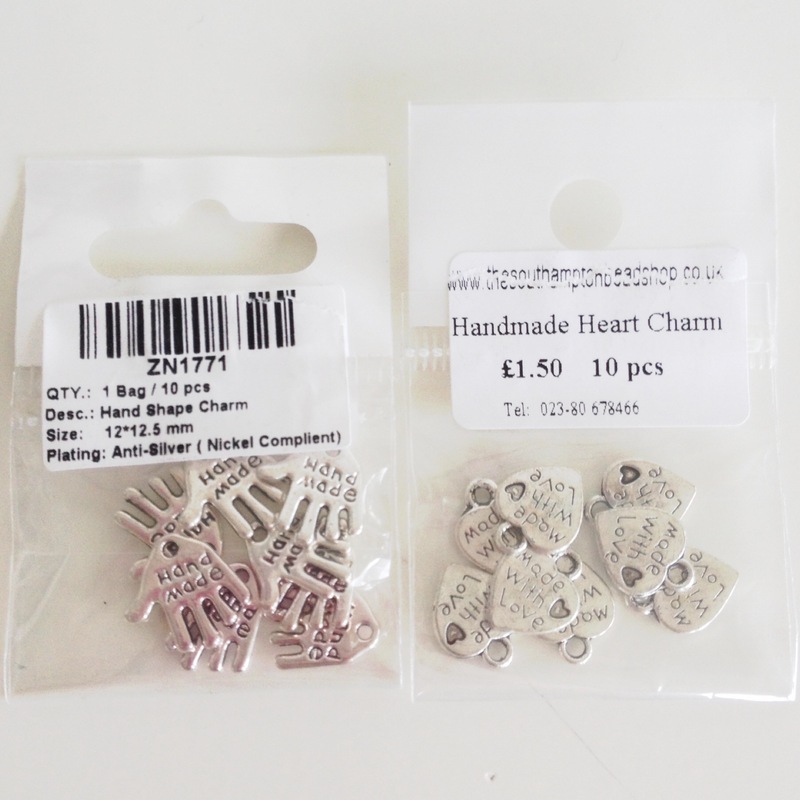 As you say, they make a nice gift for a knitter or crocheter.